As CDI develops and grows as an organisation, our pool of experience from past committees and volunteers widens. Our alumni have gone on to pursue a wide range of careers in the charitable sector, consultancy, teaching and more. How did CDI help you with your career? : Working with CDI boosted my career by at least 5 years. Conventionally it takes many years to earn a first line-management role in your career, but with CDI, students gain this opportunity way ahead of the game. 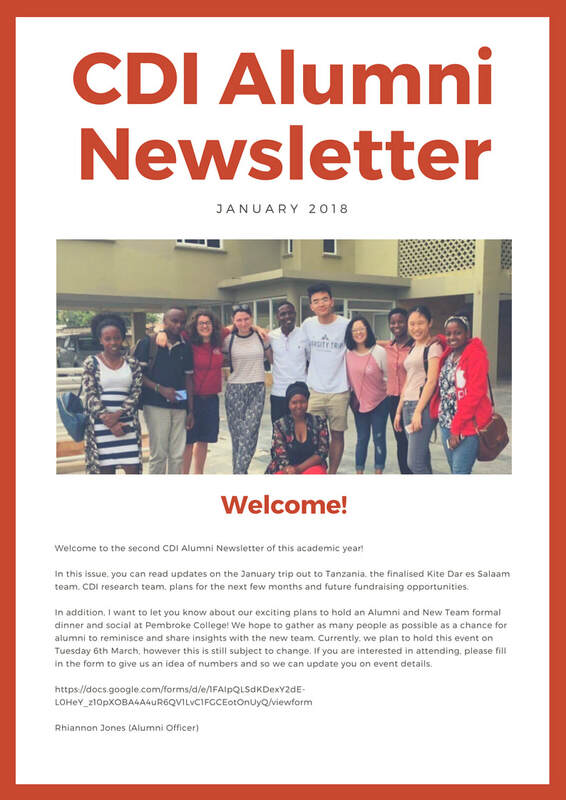 The level of responsibility and ownership over projects which CDI volunteers are given is second-to-none, and is highly impressive to any employer. ​Highlights as a volunteer: The challenge of establishing a functional and stable collaboration between members of a team from different horizons and cultures. How did CDI help you with your career? : Through CDI I was introduced to East Africa and the development sector. My time as a volunteer gave me much to think about my future career and what I want to be involved with and how. How did CDI help you with your career? : Although the job is mainly software engineering, my employer wanted to hire me because of my 'breadth of experience' to which CDI contributed greatly. My appreciation for the organisation has also lead me to help with CDI's expansion in Kite International by designing a knowledge transfer system. ​Highlights as a volunteer: Having the opportunity to work within the social development sector alongside like-minded young committed individuals to deliver 4 successful projects. How did CDI help you with your career? 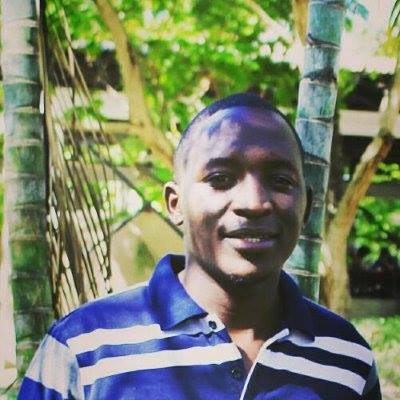 : CDI has equipped me with technical, managerial and organizational skills that are invaluable in my role as founder of EEDS, an organisation which hopes to scale social impact on community members in Tanzania. ​Highlights as a volunteer: Working within a dynamic team and being exposed to different cultures. How did CDI help you with your career? : CDI enabled me to develop key transferable skills into my career such as confidence, time management, leadership, teamwork and a hard work ethic. How did CDI help you with your career? : I was able to enhance my research and business development skills, ones which I now apply daily in my career. 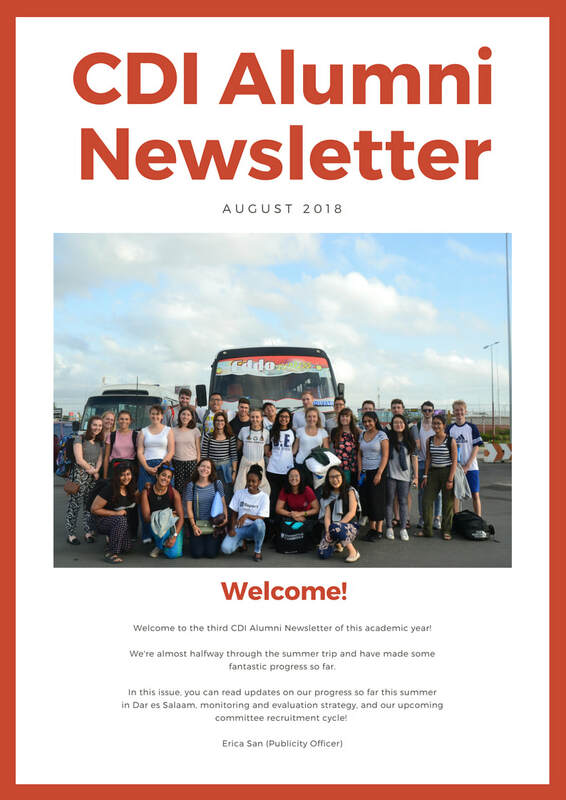 The Alumni Network offers CDI an open dialogue between past and present volunteers to share expertise and experiences. 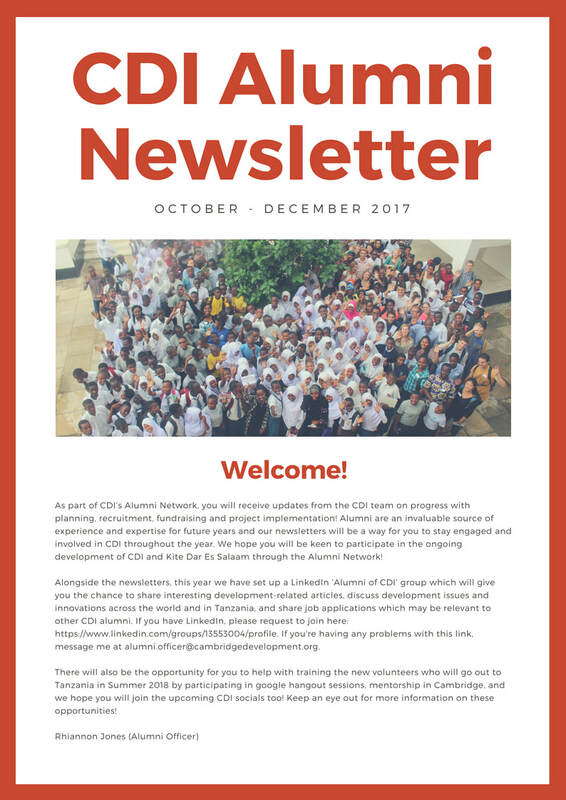 The Alumni Newsletter is one of the best means through which past volunteers can keep up-to-date with CDI's current work.